As soon as I heard it, I knew. As a teenager I spent my Sunday afternoons hearing those words as I watched re-runs of his show. He scared the crap out of me. He made me afraid of birds … you know … whenever there was more than four in a group. He maximized my anxiety and fear. He was The Master of Suspense. The most famous silhouette ever. Yep, I knew who it was as soon as I glanced at the pic. Famous silhouette indeed. Oh! He was awesome and I was there every Sunday afternoon, getting the holy-moly scared out of me. Good One!…& I Like the T.V. freezeframe shot…Classic! Man AH was the bomb, but also as a kid I use to work on a forestry and log crew up above his home in Scotts Vale outside of Santa Cruz off of Hwy 17. We would go down there when I was in high school at night and that place would give you the willies. He was MUY awesome. His “Good Evening” monologues were classic … always dark, spooky with a bit of humor. Ahhhhhhhhh no one else like him. Thanks. 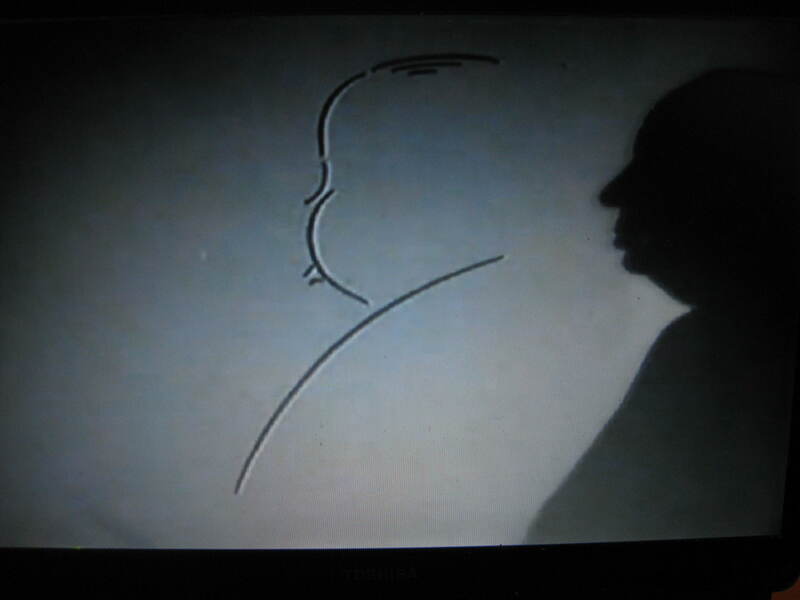 I love Hitchcock. So when the challenge came up I knew right away. I was reading an article on him the other day (about all his cameos in his own movies), very cool post! Yeah. He totally came out on all his stuff. He even said that he tried to appear early on in the movies so that he wouldn’t distract his fans from the plot or story. They always kept looking for him so he decided to do his cameos early. Pretty cool dude. Aha! Yes, he is a man whose works opened the doors for me to venture into anything that brings excitement, suspense , mystery and many more. Some scared me but they were hard to resist! Yeah…even though he freaked me out I still watched his shows. Definitely The Master of Suspense.